TSA7499B are designed for factory or DIY user. 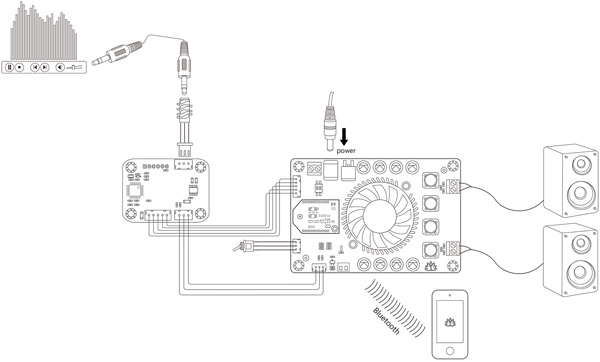 Bluetooth/LINE IN select switch and audio input port are designed as JST connectors. 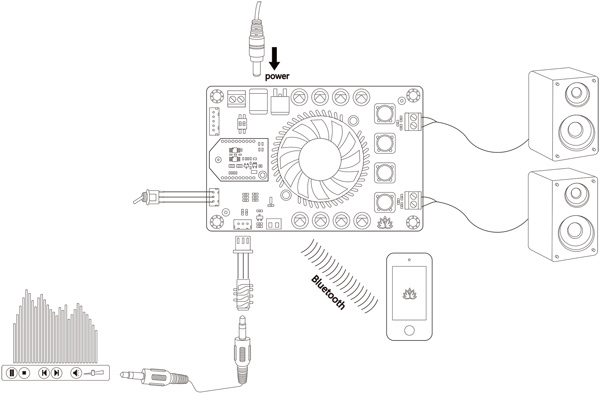 So, user can install this amplifier board in a box and connect an external switch and RCA/3.5mm audio jack plug to make their own audio amplifier. 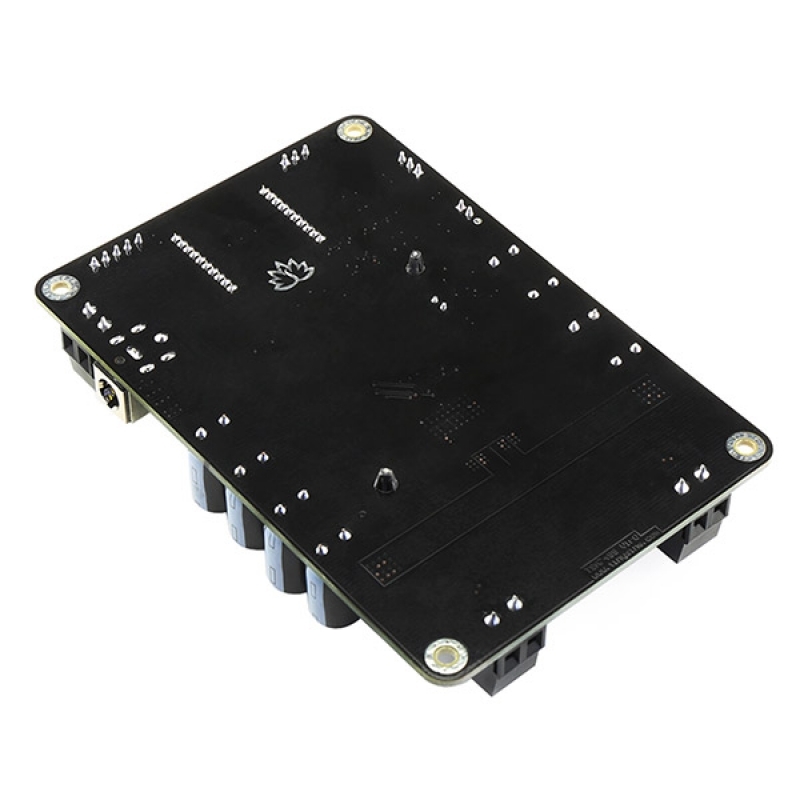 TSA7499B can also connect with our TSA1000 external audio volume control board. People can adjusting the audio volume by rotating a real knob. 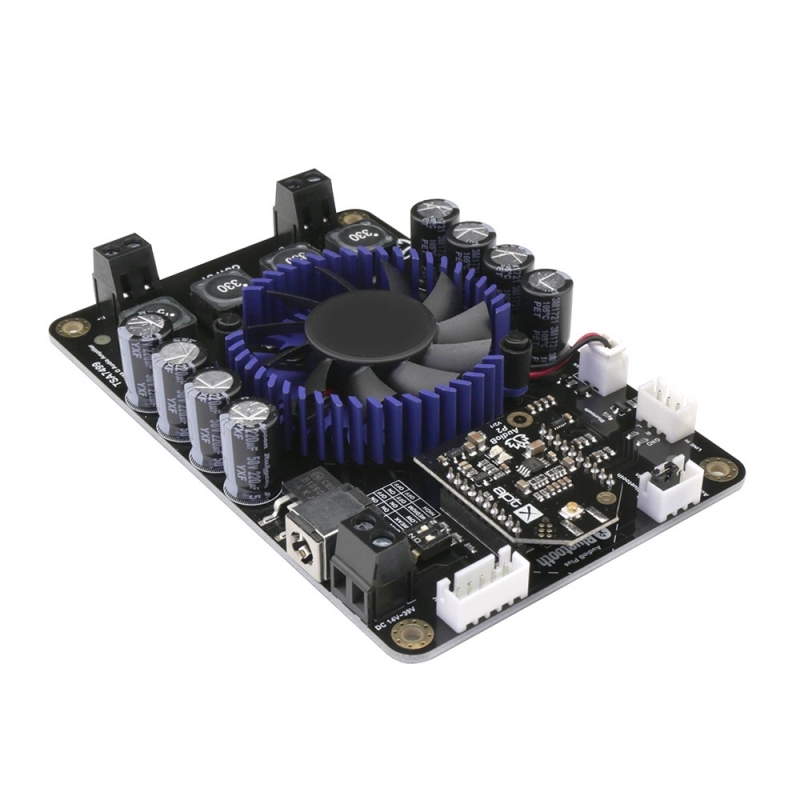 TSA7499B is a 2x100W audio amplifier board with a new AudioB plus Bluetooth module that supports Apt-X. 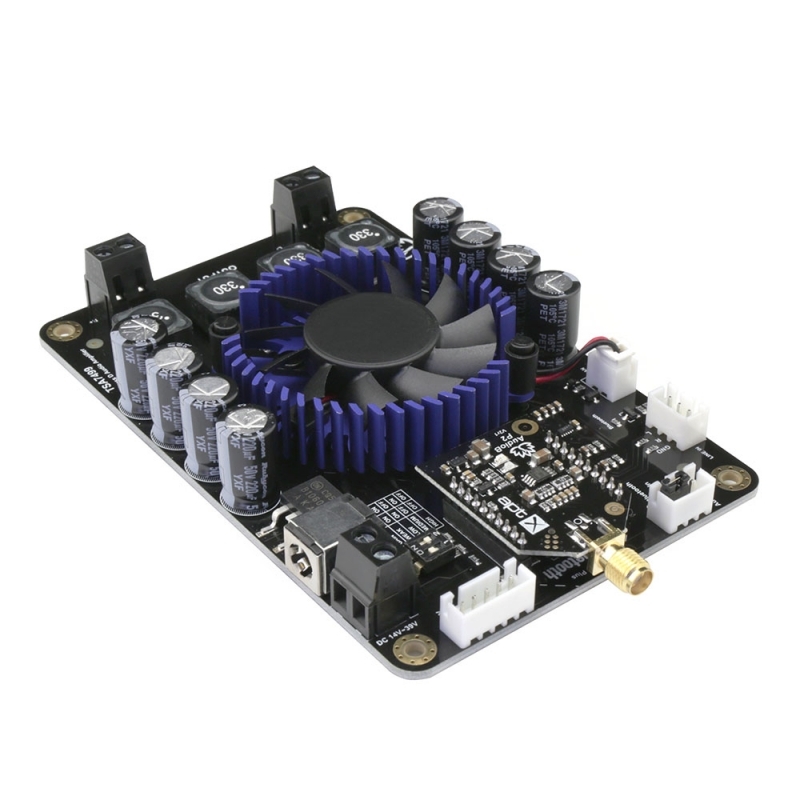 It's integrated ST high performance TDA7498 which support dual channel audio amplification. Both of channels are capable of outputting nominal power simultaneously and continuously. 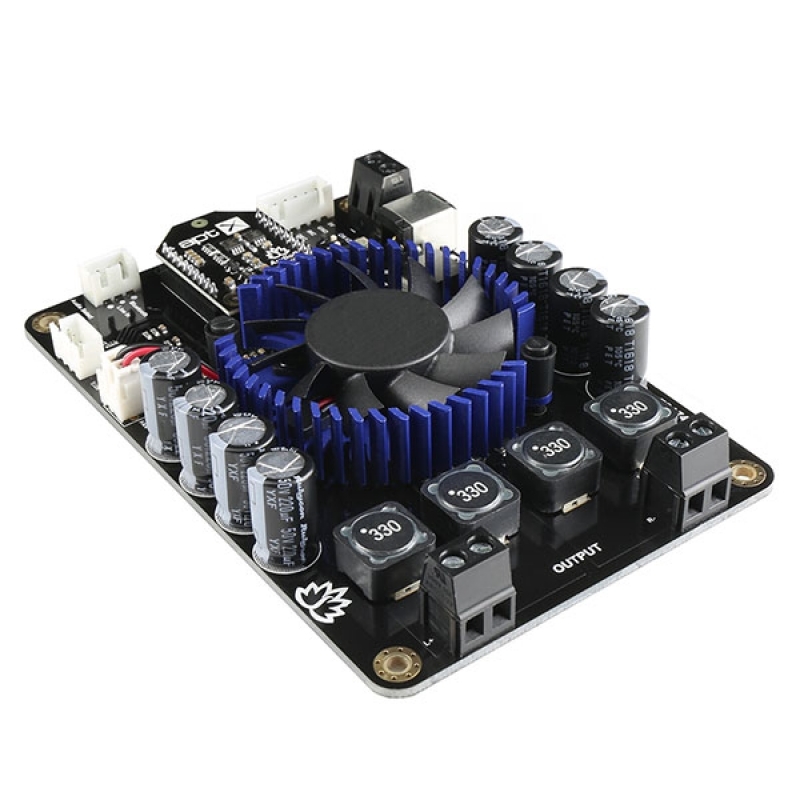 This board can be powered by any DC14V-39V* power supply. 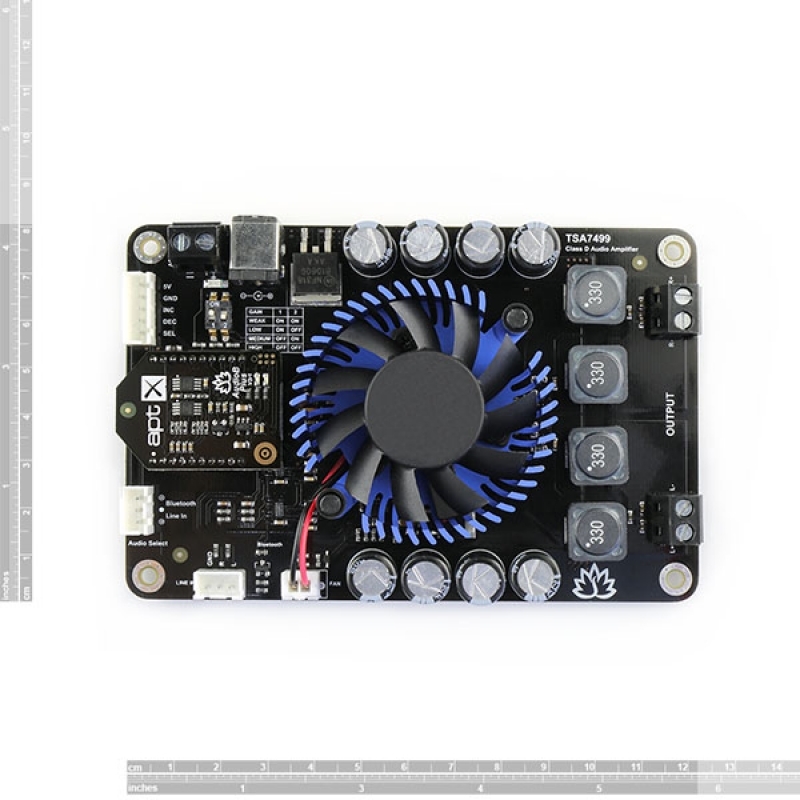 It have a smart cooling system, the fan not working in normal case to reduce the noise. Only start when the chip temperature > 65°C. It's perfect for your Hi-Fi application, the audio source can be cable input or Bluetooth. You may wish to pair with a mobile phone or a computer (etc). Power the amplifier board. Use your phone or PC (etc) to search for a new Bluetooth device. The module will appear as "TSA7499B". You don't need a PIN, pair it and then you can play music. Note: We had tested it. It also works well with 12VDC power. But we suggest use DC14V-39V power if possible. 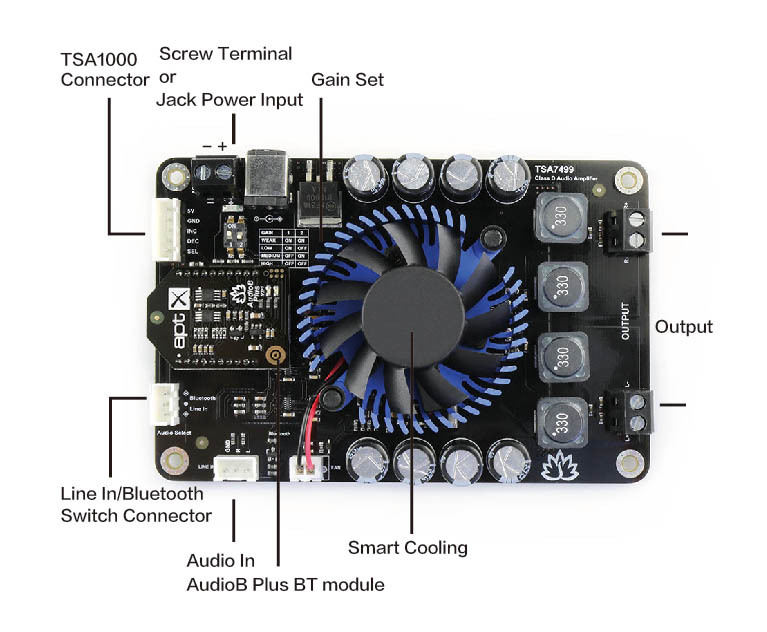 Note: If you connect a TSA1000 with this amplifier board. 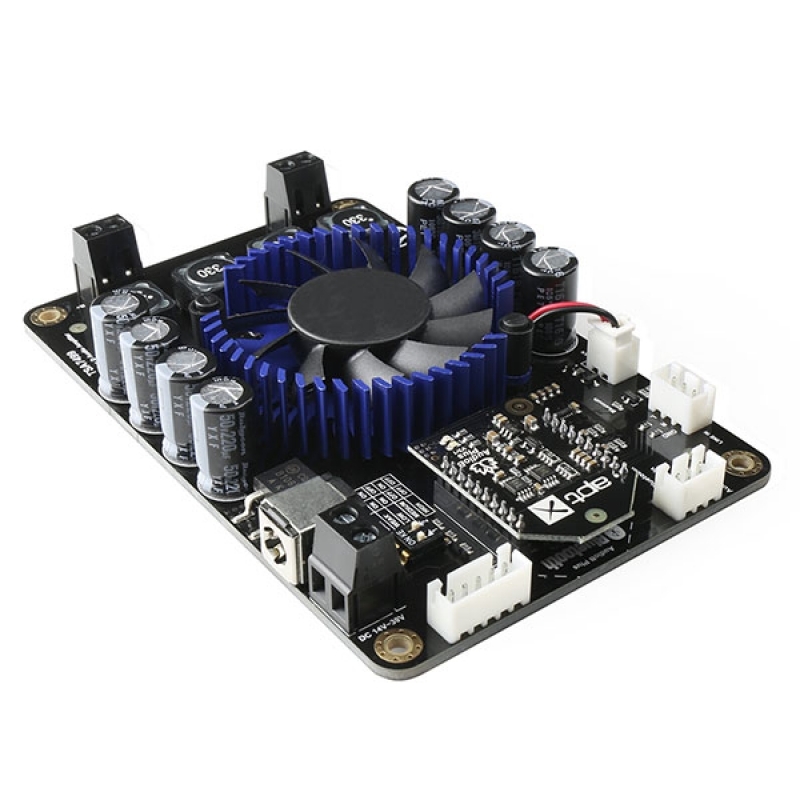 The power input can not more than DC24V. Following table lists all typical data of the Amp board. For full specification, please refer to the data sheet of ST’s TDA7498 chip.